Making children to use all their senses. You can let the kids write some note to someone may be living on another planet. Show them on how they can use their senses (smell, touch, taste, sight) to describe that information to a person who does not have any knowledge of how the life on earth is. In this cases, if the character in question is rich they can say he/she wears very expensive clothes, drives expensive cars and lives in a luxurious house. Leave to write about what they love and know. If your kid is a fan of football, cars, food, swimming or riding bikes you can let them include these activities to the best of their knowledge in any story they may be writing. In some cases, you can organize day such that you let your kids visit a game reserve, zoo or a museum. You can get them to write about any activity that you did on that occasion. Kids can act of character when playing a role in a story as they can add extra details for instance voice tone, dialogue that may not have included in writing. Let the kids emulate the different characters using any equipment they can access. After doing all that comedy, you can then let them write any story of their choice to test the creative writing for kids. 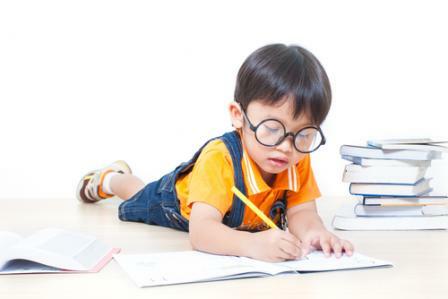 Normally kids who can read from a variety of genres will be able to have many creative ideas that they can write. You can provide some books for them to read, watch or listen to the radio. After that, you can tell them to write something that they learned from that particular story and award the best writer. While writing, they can emulate the character using the techniques they have read. With time they will have to be attentive thus have more skills as they will anticipate getting awarded at the end of the day. Encourage them to gather as many ideas as possible from the environment around them. Usually, many kids face many challenges when it comes to transforming creative ideas into writing. Let the kids use their favorite toys or whatever event or ceremony they remember in writing a story. Let the kids walk around the environment around them and write anything they find interesting about that environment. This can assist them to develop so many creative writing ideas. If you wish to develop the best creative writing for kids then do not hesitate to follow the above guidelines many have followed them why not you?